The St. Louis Forestry Division’s contract with a private company appears to have vanished, taking the credibility of City Hall with it. 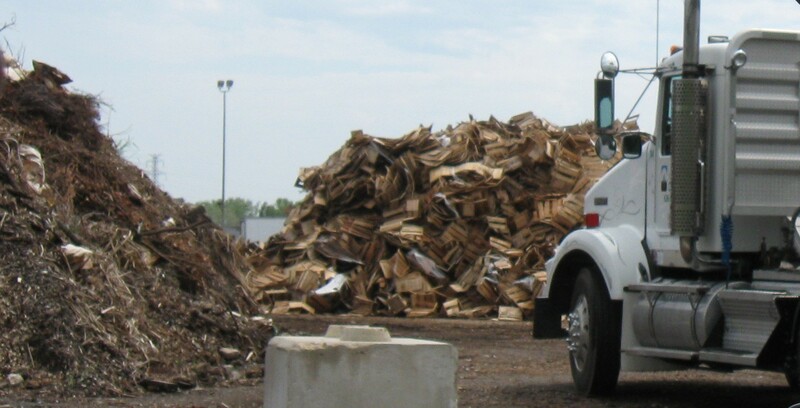 St. Louis Composting Inc., the private company that accepts wood waste from the city, has been operating without a valid contract since the beginning of September, the Journal of Decomposition has learned. Despite numerous requests made this week, City Hall could not produce a copy of the current contract between the Forestry Division and St. Louis Composting. Forestry signed a deal with the company three years ago when the city agency decided to privatize its composting operation. St. Louis Composting submitted the successful bid. On September 1, 2009, the firm entered into a three-year contract worth up to an estimated $750,000, according to city documents. The agreement expired on August 31 of this year. The contract sets forth the terms by which St. Louis Composting leases the city’s Hall Street composting facility to process St. Louis’ municipal wood and yard waste. The site is located in an industrial area of north city near the Riverfront Trail and Mississippi River. The facility is also adjacent to a closed landfill that is leaking methane. In 2009, The Missouri Department of Natural Resources discovered the presence of dangerous levels of methane at the landfill, prompting the St. Louis Fire Department to distribute methane detectors to nearby residents. No Smoking signs are posted at the compost site. Last week, well after the current contract expired, it was business as usual at the location. 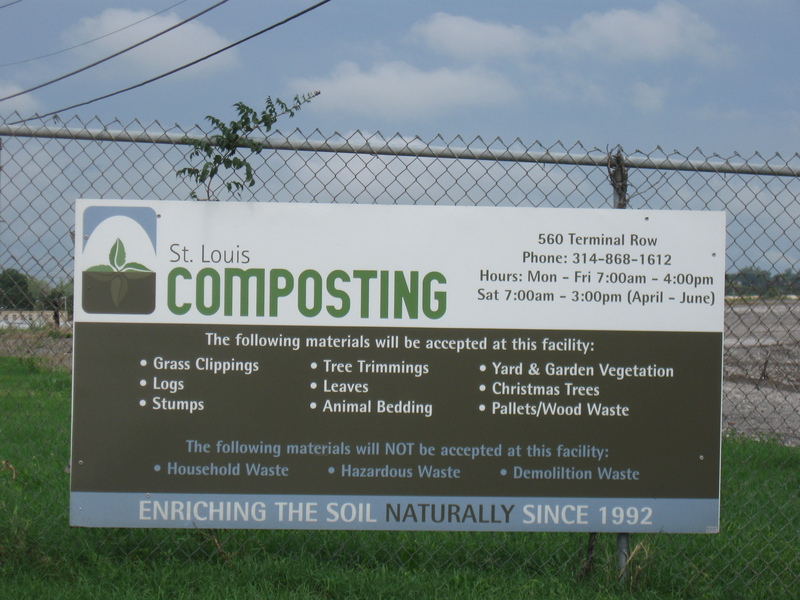 Three large St. Louis Composting promotional signs remain posted at the front gates of the facility. One of the composter’s tractor trailers was observed entering and exiting the property. 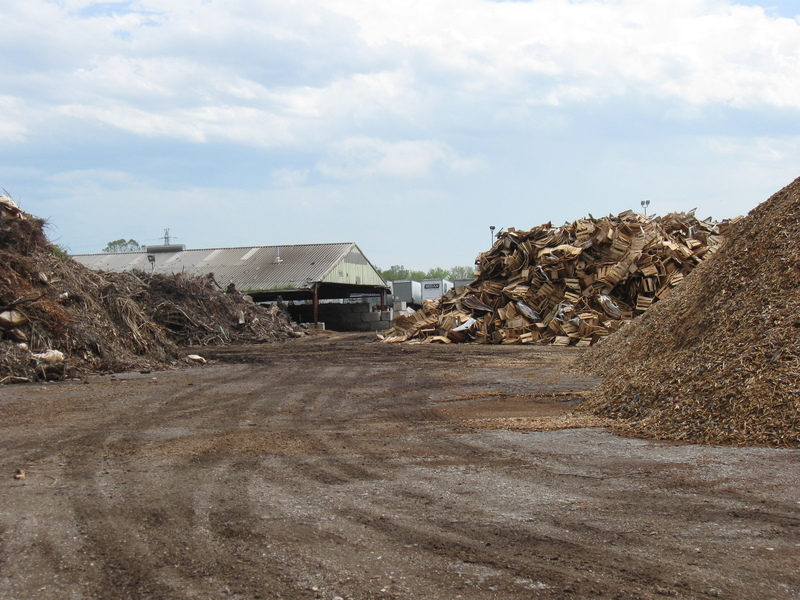 The only visible change in operations at the Hall Street facility appears to be the steadily growing mounds of pallets that seem poised to dwarf the piles of limbs, logs, and shredded wood waste. Both the service contract and lease issued by Forestry require St. Louis Composting to have notified St. Louis Comptroller Darlene Green, who oversees the city’s finances, by May 31 if the company intended to exercise an optional contract extension. If this condition is not met, the terms prohibit Forestry from extending the deal, therefore the contract expired on August 31. In June, the Comptroller’s office divulged that St. Louis Composting had not submitted a request to extend the contract before the May 31 deadline. This week, the comptroller’s office refused to confirm that the composter has ever contacted them. Asked why St. Louis Composting is still operating on city-owned property without a contract, Forestry commissioner Greg Hayes says, “It just went to E&A and there’s a one-year extension.” Hayes is referring to the Board of Estimate and Apportionment, which is comprised of the comptroller, mayor, and aldermanic president. Together the three elected officials hold sway over the city’s purse strings. Nobody else in city government seems certain of the exact status of the contract extension, either. The City Hall Register‘s office, which keeps all city contracts on file, could only furnish the original, expired agreement. The paper chase that started at the Register’s office, moved down the hall to the Board of Aldermen, where a staffer referred questions regarding the Board of Estimate and Apportionment to the mayor’s office. Mayoral aides then passed the buck to the comptroller’s office, where a city employee representing both the comptroller and the Board of Estimate and Apportionment failed to provide evidence of a contract extension or renewal notice. Later in the day, comptroller spokespersons claimed by phone that the contract exists but is not yet signed. Since it is not signed, they say, it is not public record, and therefore a copy cannot be made available to the press. The comptroller’s office suggested contacting an official at the Parks Department, and transferred the call. But that official said she did not have the contract extension. Finally late Wednesday afternoon, a staffer for the comptroller’s office called again to say that he would search further and call back. While the search for the elusive contract goes on, St. Louis Composting continues to squat on the city-owned composting site on Hall Street, grinding up trees and pallets for private gain. Meanwhile, city servants are positive a contract exists, the problem is no one can lay their hands on a signed version. They claim that whatever documentation they do have is not signed and is therefore not public information. This means one thing — there is no contract. Give them a bit of time and they cook up some sort of official documentation.